150 ft DURACAT Ethernet Snake. 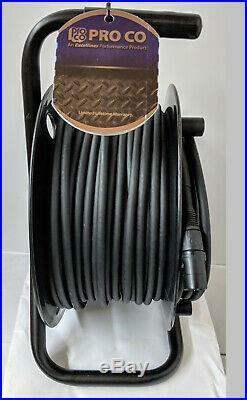 Cat6 UTP Cable on REEL. Easily removable from reel once snake is deployed. Genuine NEUTRIK NE8MC over cat6 RJ45 terminations. Cat6 Certified by Fluke instrumentation. The perfect RUGGED solution as a digital snake! We have the BEST DURACAT Pricing in the Entire USA! IN STOCK & READY TO ROCK! The quantity displayed is the quantity. No need to wait weeks from clueless drop shippers. Each snake tested & Certified in our lab! The Best Tactical cat6 snake on the Market! Need a custom length or configuration? We can build it from our local stock! 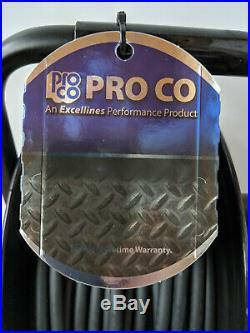 Over-jacketed, heavy duty cable for rugged portable or permanent installation. Ships with cable leader set to about 6 feet feet. DuraCat cable is made with SOLID COPPER Conductors. 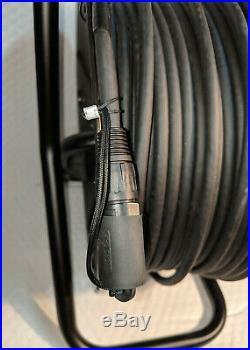 Need a cat6 snake for your new digital mixer? Our DuraCat family of cat6 cables are cat6-rated to 100 meters or 328 feet. See the TIA/EIA certifications listed below. 5 mm solid bare conductor. Thermoplastic, no lead, flame retardant jacket. Quality connectors assembled in our facility. Individually tested for performance and quality. 2-1 CAT 6 & ISO/IEC 11801:2002 CAT 6 HORIZONTAL CABLE. PL : UL/cUL TYPE CMP NP : UL/cUL TYPE CMR PERFORMANCE : ETL VERIFIED TO TIA/EIA 568-B. The item "ProCo 150 foot Duracat cat6 UTP Tactical Snake ON REEL Ships FREE to ALL the USA" is in sale since Friday, February 5, 2016. 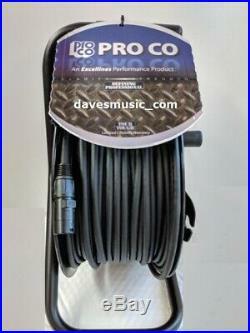 This item is in the category "Musical Instruments & Gear\Pro Audio Equipment\Cables, Snakes & Interconnects". The seller is "davesmusic_com" and is located in Waxahachie, Texas.